Halwas like walnut , dates, almonds, pineapple, papaya, reddish, anjeer, carrot. Short on time? Let anjeer sellers contact you. Sweets like, aflatoon, nan-khatai, anjeer dryfruit. "We are engaged in offering excellent quality Harry Syrup to our valuable clients. Useful for Indigestion, Increase Growth Loss of Appetite, Improves Hemoglobin, The Family Tonic.. Each 5 ML contains Ext of Ashtavarga, Ashwagandha, Triphala, Gokharu, Anjeer, Bhringraj, Brahmi, Arjun Chhal, Shatavari with Total 18 contains Dosage : 2 Teaspoonful 3 Times a Day (Children 1 teaspoonful) Packing : 120 ML, 225 ML, 450 ML with Strawberry Flavour Case Packing : 30 x 450 ML, 60 x 225 ML, 120 x 220 ML Clients can avail this Harry Syrup at industry leading prices from us." Walnut kernels, spices like pepper and saffron, almond kernels, apricot, anjeer and morel mushrooms. Rice : iri-6, iri-9, basmati 385, super basmati, special parboiled rice, masalas: garam masala, chat masala, curry masala powder, powders: black pepper powder, corriander powder, cummin powder, garlic powder, ginger powder, khatai powder, red chilli powder, turmeric powder, cummin powder, bishop weed powder, fenugreek powder dry fruits: black currents dry sweet figs (anjeer) dry golden sultana's dry prunes dry pomegrinade seeds (annar dana) green round raisins black raisins green long raisins pinenut's kernel pinenut's whole (chilgoza) pumpkin kernel pistachio unsalted with shell pistachio salted with shell pistachio kernel (large) pistachio kernel (small) dry dates pitted dates un-pitted dates walnut with soft shell walnut with hard shell textile items: kicthen towels towels bed sheets. Almonds, cashews, walnuts, pista, raisins, anjeer. Before & After Sun Exposure Sun Block Moisturiser Water Proof Non Oily Anti-Ageing This sunscreen lotion is specially formulated to act as a protective barrier between the skin and the sun’s harmful UVA & UVB radiation. It contains natural extracts of Sunflower, Tulsi and Anjeer, which filter the sun’s rays, maintain optimum hydration level and protect the skin. A non-greasy, water resistant formulation, it is easily absorbed, making the skin appear shine-free, healthy and youthful. It is suited to all skin types, including acne-prone skin. Directions For Use : Apply evenly on face and other exposed areas 20 minutes before sun-exposure. Ingredients : Aqua/Water, Paraffinum Liquidum, Stearic Acid, Ethylhexyl Methoxycinnamate, Methylene Bis-Benzotriazolyl Tetramethylbutylphenol, Glyceryl Stearate, Glycerin, Cetyl Alcohol, Helianthus annus Extract, Ficus carica Extract, Ocimum sanctum Leaf Extract, Polysorbate-80, Parfum, Phenoxyethanol, Triethanolamine, Xanthun Gum, Methylparaben, Diazolidinyl Urea, Iodopropynl Butylcarbamate, Propylparaben, Pentaerythrityl Tetra-DI-T-Butyl Hydroxyhydrocinnamate, CI 77891, CI 15510. Dry Figs: Dry Figs are seasonal fruits that are found in the western parts of asia. However, dried figs are always available. The figs tree is a member of mulberry family. 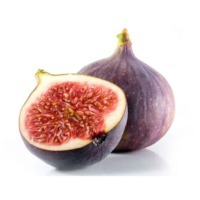 Health benefits of figs can be attributed to the presence of minerals and vitamins in them. The health benefits of figs or anjeer include treatment of constipation, indigestion, piles, diabetes, cough, bronchitis, and asthma. Dry fruits like fig(anjeer), pista, almond(badam), cashew(kaju), kishmish, dates and chocolates. Cereals & millets like bajri, barley, jowar, kodra-kodri, maize - corn, ragi (indian millet) products, rice, samo, wheat ,general products like agarbatti, baking powder, sindhalum powder-farari namak (white salt), coconut (copra), multani matti (fuller's earth), fatakdi powder, iodised salt, kala namak (rock salt) , nuts and dried fruits like almond, cashew, dates (khajoor), fig (anjeer), pistachio, raisins (kismish), walnut (akhroat) , processed foods like falooda sev products, far far products, fennel seeds - sugar coated products, jaggery products, sabudana products, mouth freshener (mukhwas) products, papad products, rice bubbles (mamra) products, pulses like black gram (urid whole), chick peas (channa), cowpeas (chowli), green gram (moong), green peas (mattar-vattana), moth beans, pigeon peas (tur), red kidney beans (rajma), red lentils (masoor), soybeans, spices and spices powder like turmeric (haldi), anardana, aniseed, asafoetida (hing), bay leaf (tej patta), big cardamom.